If your child is between the age of 5 and 9, you can get them a FREE subscription to LEGO® Life Magazine. 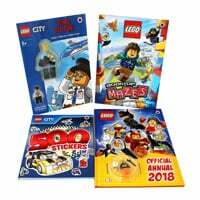 It is filled with awesome stuff such as comics, activities, competitions, sneak peaks & the latest LEGO news, all shipped to your door 4 times a year! All you have to do is sign up for an account.